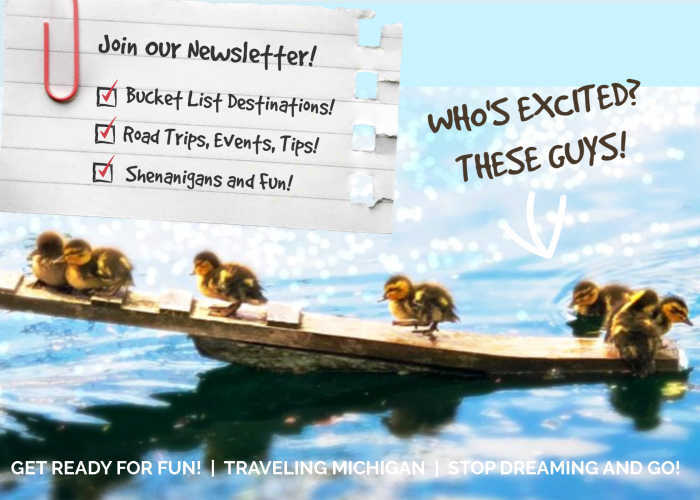 We are so excited to announce this year's epic collection of Valentines Michigan Getaways that will warm your heart! Some Bed and Breakfasts offer romantic features such as music, wine or chocolate so be sure to contact them for details! If you have any recommendations please let us know! Also, be sure to book your room as soon as possible as I bet the smaller, quaint getaways will book quickly! Detroit Marriott at the Renaissance Center, 400 Renaissance Dr W, Detroit, MI. We are big fans of this hotel for so many reasons. First off, THE VIEW...Seriously? This hotel is connected to several excellent restaurants and three floors of awesome shopping, exploring and eating. If it's cold, you never have to leave the hotel! 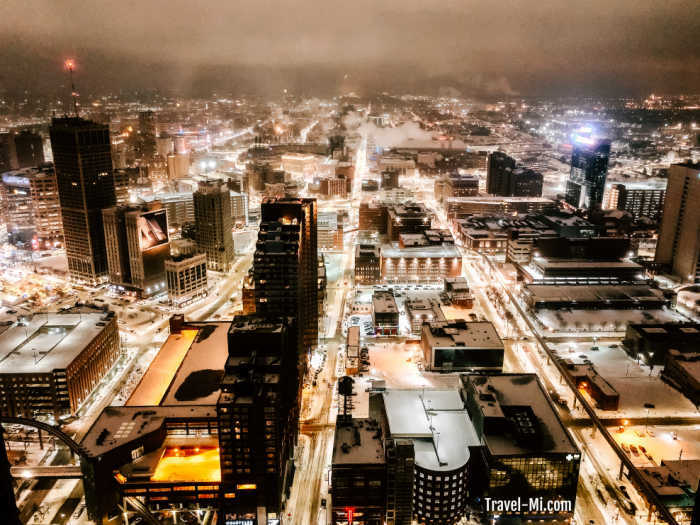 The Detroit Marriott Renaissance is also connected to the Detroit People Mover so you don't have to deal with the hassle of moving your car, finding parking and dealing with traffic around Detroit just to reach Greektown or many other popular destinations. We highly recommend getting a room in the upper levels so you can enjoy the exquisite view of the city or the water from the ceiling to floor windows. Chateau Chantal Winery and Inn,15900 Rue Devin, Traverse City, MI This winery and inn is one of our favorite stops on the Traverse City wine trail. Their grounds are absolutely exquisite. Book one of their cozy rooms or spacious suites, featuring views of the vineyards and fresh water. Enjoy their beautiful fireplaces and ample breakfasts during your stay. 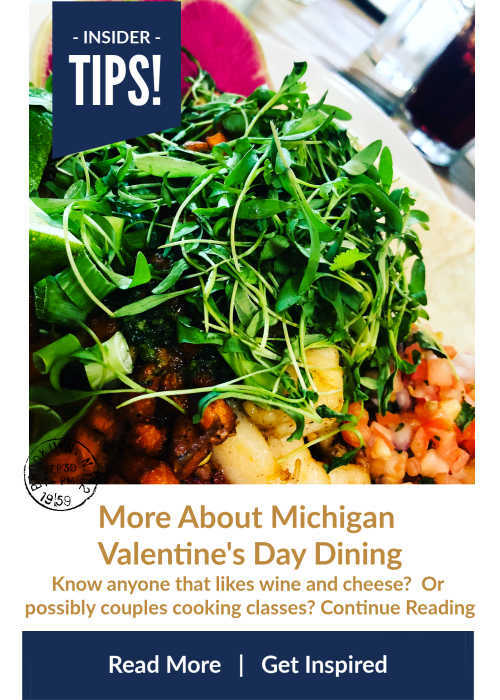 BONUS: Don't miss their Valentine's Weekend Wine Dinner, Feb. 16, 2019, 6 p.m. - Feb. 16, 2019, 8:30 p.m. Check their website today to book!! 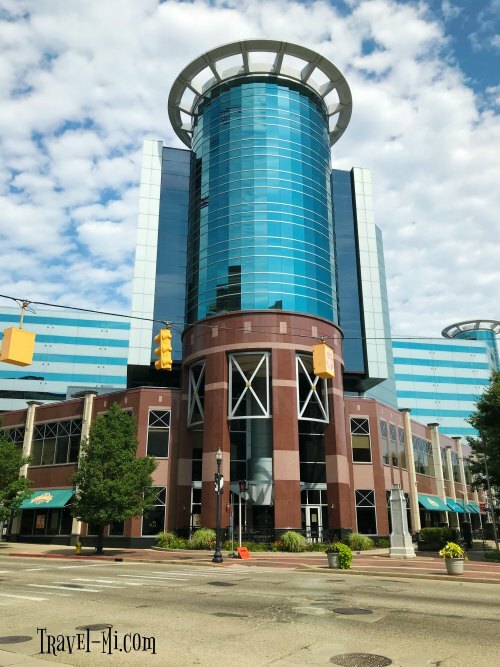 Radisson Plaza Hotel at Kalamazoo Center, 100 W Michigan Ave, Kalamazoo, MI 49007 The great thing about the Radisson, other than their comfortable beds and multiple levels of shopping, is it's close proximity to all the fantastic downtown restaurants! Zazios is also located within the Radisson. Henderson Castle, 100 Monroe St, Kalamazoo, MI 49006 Sleep in a Castle? WHAT? The perfect getaway for rejuvenation and relaxation. In addition to the fabulous rooms in their bed and breakfast, Henderson Castle is featuring a Valentine's day dinner on Thursday, February 14, 2019 from 5:00 pm to 8:00 pm. Make it a date! Ludington House Bed and Breakfast -501 E Ludington Ave, Ludington, MI 49431 Live music with your Valentine! 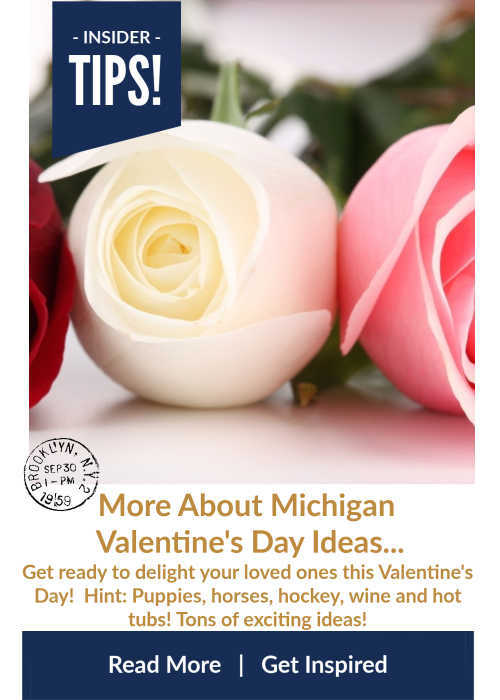 The Ludington House is preparing to make your Valentine’s celebration special. Chef Bobwill make delicious chocolate treats! 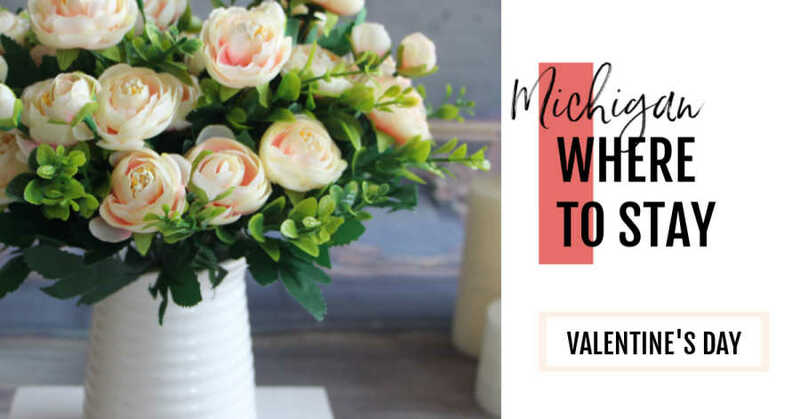 Call ahead for their popular Romantic Rendezvous package which includes some bubbly, a long stem rose and a couple other goodies. Lamplighter-602 E Ludington Ave, Ludington, Michigan, Check out their exquisite "Fireside Dining Packages!" Relax by the fire and enjoy a dinner created by the Lamplighter's private chef! Hart House B and B-303 S Courtland St, Hart, MI 49420. This lovely Bed and Breakfast is offering a February 15-17, 2019 Valentine's Special! 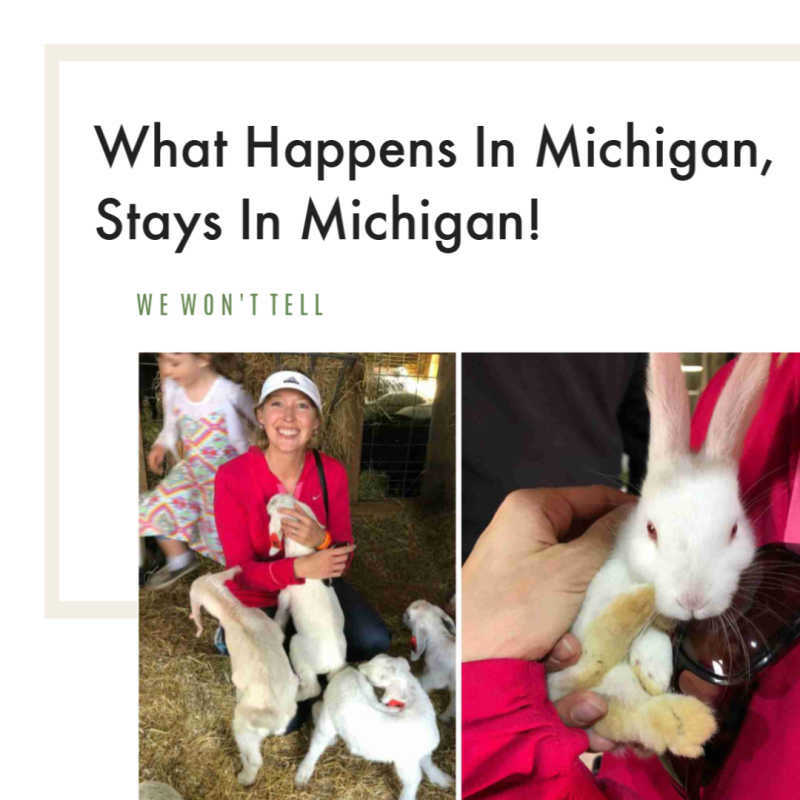 They are located in a quaint small town one hour northwest of Grand Rapids or two hours southwest of Traverse City. You can get late checkout too! Be sure to bring your swimsuits for a relaxing soak in their year-around hot tub. A bottle of red, white or sparkling wine or cider. REMINDER: Be sure to check Groupon as they have tons of selections for restaurants, couples massages, hotels and events. Don't miss out on our next curated holiday events list! Click here to have them simply delivered to your in box! !